Preheat oven to 375 degrees F. Spray 3-quart casserole dish with non-stick cooking spray. Layer apples in bottom of casserole dish. In small bowl, whisk together sugar and apple juice. Slowly whisk in flour until smooth. Pour over apples. Sprinkle cheese evenly over apples. In small bowl, stir together melted butter and cracker crumbs. Scatter crumbs evenly over cheese. 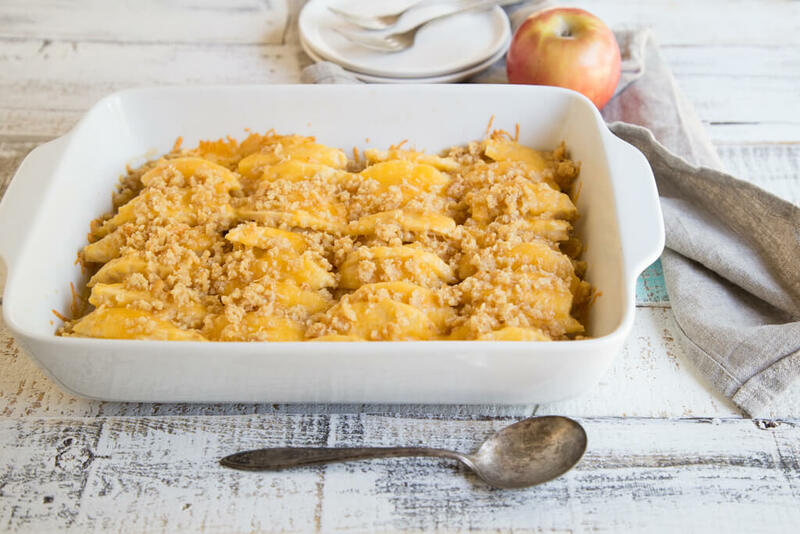 Bake 18 to 20 minutes, until apples are tender and cheese around edges begins to brown. Serve warm.